CE Pro Summit: What Is the Value of My Company? September 02, 2015 Industry broker identifies the key elements integrators need to examine to determine how much their company is worth. What is the effect of home automation RMR, cash flow, revenues, service contracts and brand name on multiples? August 25, 2015 This week in CE Pro Video Weekly News, we explore Yamaha's newly announced MusicCast, recap the 2015 CE Pro Summit, and discuss the new drivers available with DISH. August 21, 2015 Demographic expert Tim Costello of BDX shows that the broad U.S. economy will boom from 2017 to 2030 as the giant Millennials generation reaches their peak spending years, so get ready! August 21, 2015 This 90-second video wrap-up from the just-concluded CE Pro Summit in Washington, D.C. offers a glimpse into the festivities where nearly 400 attendees discussed key topics for the custom installation industry. August 19, 2015 At the CE Pro Summit, CEA executive delves into future business models revolving around the Internet of Things (IoT) and how too many wireless networks are hampering its growth. August 19, 2015 Getting a pre-assembled equipment rack to the jobsite in one piece can be a challenge with today's smaller vehicles. Here are 6 tips from integrators at the CE Pro Summit to make the process easier, from shrinkwrap to hiring movers. These strategies include shrinkwrapping, using hard cardboard corners, hiring a moving company, inserting bubble wrap, and reassembling on site. August 18, 2015 Integrator at the CE Pro Summit in Washington, D.C. emphatically challenges the custom electronics industry to stop fighting DIY home automation equipment but instead develop packages and sales techniques to embrace the equipment. August 18, 2015 A 12-piece band and full color guard representing all four branches of the U.S. military are backdrop for opening reception and message from Jeremy Burkhardt of Origin Acoustics at the CE Pro Summit in Washington, D.C.
August 18, 2015 At CE Pro Summit, Netsertive suggests ways to build business among Millennial buyers using viral videos, 'Google My Business', 'Click to Call' and 'Location Extension' tools in Google. July 31, 2015 The 2015 CE Pro Summit will take place in Washington, D.C., Aug. 17-19. 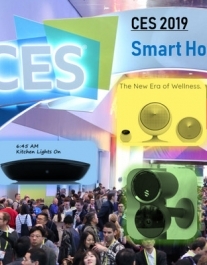 Which Technologies Look Promising for Smart Home Integrators in 2017? November 03, 2016 Voice control, object-based audio, HDR TV, and DIY-assist business models are all viable options for integrators to pursue in 2017... and here's how to do it.